In one of the film’s most memorable scenes, Brando elaborates the effect an actor should have on his audience. “Hit ‘em. Knock ‘em over…with an attitude, with a word, with a look! Be surprising! Figure out a way to do it in a way that has never been done before. You want to stop that movement of the popcorn to the mouth. Get people to stop chewing. You do that with the truth.” I can see director Stevan Riley listening to those very words for the first time through his headphones, the vibrating wavelengths travelling beyond his eardrums and taken to heart. Riley implements that exact same Brando technique on the making of his documentary. After watching “Listen to Me Marlon”, the first thing I did was walk over to the ticket booth to buy another ticket for the next showing. Stevan Riley dissects Brando’s life using nothing but audio recovered from tapes the actor recorded himself. He also utilizes a 3D digital version of Brando’s head that the actor got made in the 1980’s in order to be part of future digital performances. It’s a first documentary of its kind. The end result is the best-documented film on not only the greatest and most influential actor to walk this planet, but on acting itself as an art form. Riley paints Brando’s words with corresponding visuals that perfectly encapsulate the meaning behind the spoken word. Like Brando’s many monumental performances, Riley has figured out a way to showcase a portrait in a way that has never been done before. While the film is an intimate portrait first and foremost, it is also many other things. Much of the film feels meditative, much like the work of Terrence Malick. Brando reflects on life with personal and philosophical commentary without it steering away from being a posthumous autobiographical film. The viewer learns about the method of the quintessential actor, but we also get a peak at the man himself. This is as close as we’ll ever be to seeing the world through the eyes of Marlon Brando, a deeply thoughtful artist if there ever was one. This isn’t merely Brando on Brando; it’s Brando on life and the world, as we know it. One part I found interesting is when Brando is asked if the roles he picks reflect his life and he replies yes. 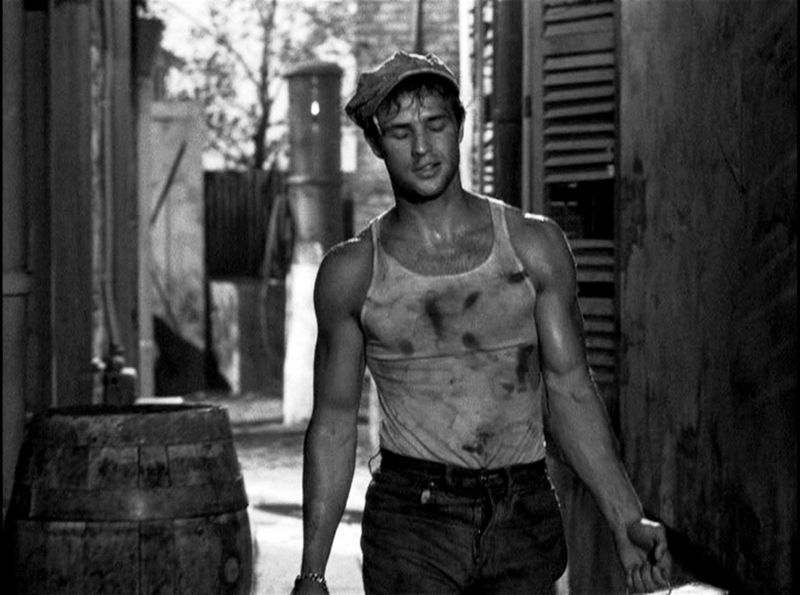 His powerhouse breakthrough as Stanley Kowalski in “A Streetcar Named Desire” is so real and authentic, because what we’re really seeing is Brando slipping into the shoes of his abusive father. In fact, the documentary makes a strong argument for the auteur theory. It establishing it as a legit theory of film. The auteur theory is possibly the most interesting theory in film for the simple reason that there is no true definition to fully explain the theory. The thematic link between films of an individual artist reveals a view or outlook the author or auteur has on the world. The auteur is an individual who has something to say to the world, and through his work, the viewer discovers his statement. An auteur doesn’t necessarily have to be the director; in fact, it may be a director and an actor working together, each displaying his own vision. Each film can have more than one auteur. 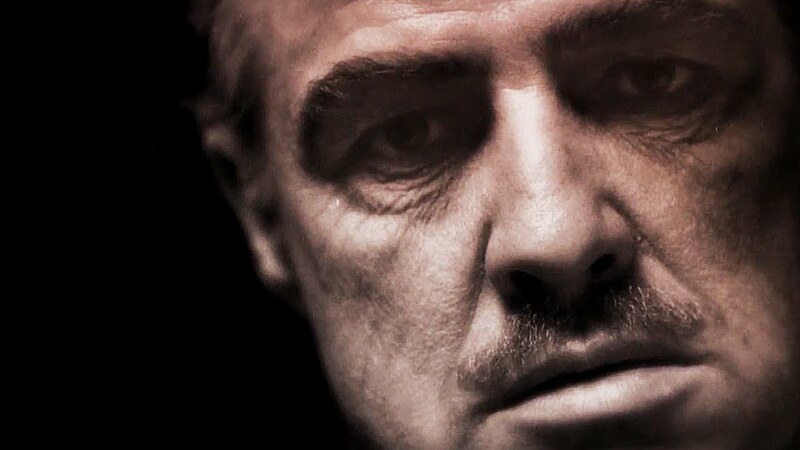 If we carefully examine the films of Marlon Brando, you’ll find the one thing that binds them together is rebellion. His characters are often individuals fighting for a cause be it Terry Malloy fighting mob corruption on the docks in “On the Waterfront”, or his motorcycle led rebellion as Johnny Strabler in “The Wild One”. Other notable roles of characters fighting an establishment include Emiliano Zapata in “Viva Zapata” and of course his turns as Mark Anthony in “Julius Caesar”, Fletcher Christian in “Mutiny on the Bounty” and defected Colonel Kurtz who went rogue in “Apocalypse Now”. Brando’s latter choices as an actor are presented as a protest against the Hollywood studio system. 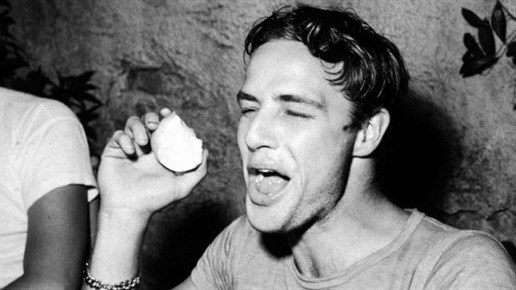 Brando very much practiced what he preached as is evident in some of pivotal activism chapters in his life. He supported many causes most notably the African-American Civil Rights Movement, and various American Indian Movements. The latter was a point of much discussion when he protested the Oscars by declining to accept his second Best Actor Academy Award for the misrepresentation of Native Americans in Hollywood westerns. “Listen to Me Marlon” feels like an extension to his acting and activism; the film allows the legend to deliver a message to the world from beyond the grave. As a film critic, it is my duty to guide eager viewers to the right movies, because money and time is a luxury. I can’t remember the last time I felt the urge to show a film to everyone I know, as strongly as I did walking out of “Listen to me Marlon”. 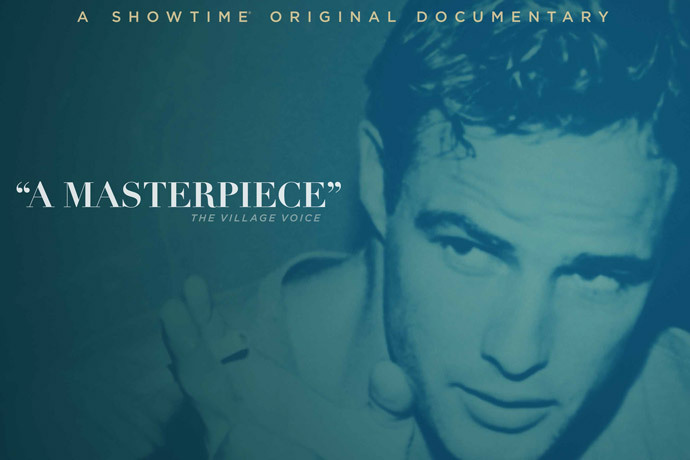 To watch this documentary is to not only understand why Brando is regarded as the greatest actor of all time, but it is to grasp the undeniable fact that he was truly one of the most remarkable human beings to ever walk this planet.